Last week, I restarted playing my discipline priest. She had made it through the class hall quest and was simply sitting there at 101 with the shadow weapon. With the Hallow's End activities, I decided to dust off the cobwebs and play her through the Headless Horseman event. (YES after 10 years of continuous game play I still don't have the horseman's mount!!). This year the horseman is open to all players level 15(?) and above. 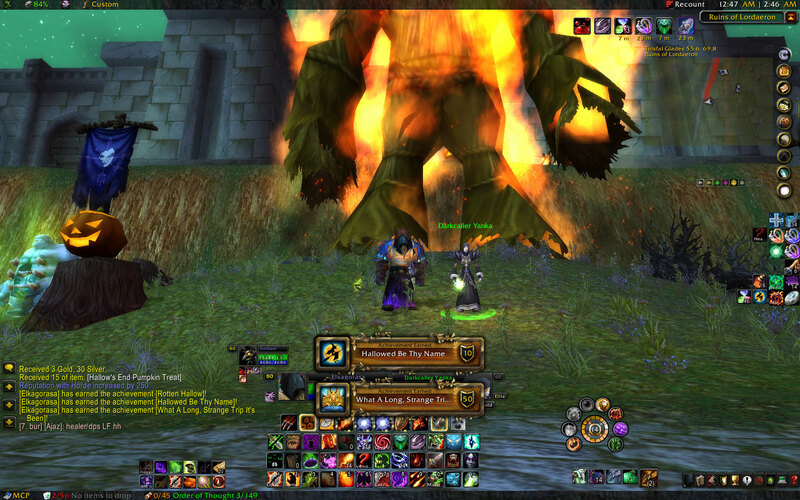 I even had my horde hunter (27-> 28) run through it once. s boss instead of the head. I believe this is due to the /focus setting. I wanted this to set a focus so I could come back quicker after the head returned, but it's backfiring on this fight). After the dungeon, I decided to level her to 102, so that I could pickup the discipline artifact weapon. It was interesting in that it included heavy use of the levitate spell (to avoid fire on ground). As with Erlenmyer, I decide to also fight all the bosses in the current legion invasion, and complete a few world quests. The proving grounds, while the bane he nuances to legion disc. Vuhdo needed to be updated. Tracking the Atonement buff is important. I found this video VERY helpful in adding it. Both Plea and Power Word: Radiance are awesome at applying the buff to several people. 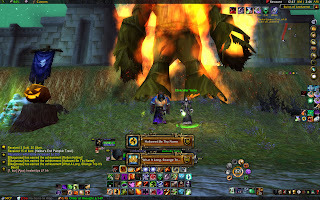 PW:Radiance allowed me to 'AOE heal' the entire dungeon party quickly. Level a new toon from 0? Faction change my existing priest? Faction and realm change my existing priest? Level a new Alliance Alt: this option has little appeal to me. Leveling from zero takes about a week of solid game play even with heirloom items. The advantages being that it's free (no RL money) and I'll still keep my horde healer along with my other horde dps and tanks. Boost a new toon - this has some appeal in that I can leave my horde characters alone, and still get a new alliance alt. Unfortunately, this option is also $60. NOW, if Blizzard, would PRORATE this, it would be awesome! Boosting from 0 = full price, $60. But what if you boost from 55 - 60?? This is the ideal 'boost' point as you get the professions boost to 700. What if this boost was only $30. I have a level 85 druid sitting in Northren, who likely won't ever see max level. This is 75% up to 110, so it should be only 1/4 of the price ($15). I think people would have a lot more max-level alts if they could boost those toons the last 20-30 levels without having to play through those expansions. Faction change my existing. This has a bit of appeal as monetarily, it's only $30 on the Blizzard store. My priest could easily hop the fence as a human or night elf and no one would no the difference (except for that horde guild that's hanging on). The major downside to this is infrastructure. 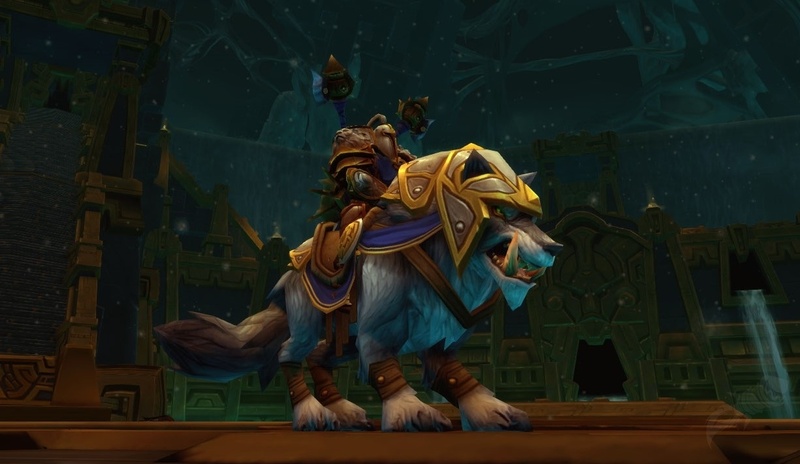 At the moment, Malfurion-US is only horde characters at the moment. No guild, no bank toon, etc.. I'd basically be starting over, but no one there to help. That's a major down-er, if my friends decide to quit playing (again). Faction and Realm change. "Cheaper" than a boost, but $25 more than just a faction change. Get's my existing level 104 priest to Kul Tiras with my other Alliance toons. There are 4 other toons there that can provide support (paladin, hunter, and bank alt paladin), plus their guild. Theoretical Option 5 - As I write this post, I am seriously considering option 1. I'll start a new toon on Kul Tiras, leaving my existing BELF in place. While this is not favorable, I have a feeling in the next month or two Blizzard will have a 'services' sale. Blizzcon? Christmas? PI day? Maybe this toon will reach the coveted level 60 by then and I can boost. With heirlooms, leveling won't take that long and as a healer, I can hopefully insta-queue for dungeons.. Add in the fact that it's Hallow's End, I could hypothetically level a few simply by flying between candy buckets. 25 add one more to the queue of those trying to get the HH mount.